Our goal is to be a one stop health insurance agency to help clients through all of life’s transitions. Individual health insurance is purchased by those under age 65 who do not get health benefits from their employer. 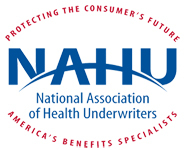 We are among the first original certified health insurance agents for Covered California. We also help clients who are not eligible for health insurance premium assistance (subsidies) obtain insurance direct from all the major health carriers. Health reform has made this area of health insurance a real challenge and the majority of licensed health agents no longer offer this service. We still do so with a smile, in English and Spanish, and a great deal of expertise. Please download our newly updated for 2017 Individual and Family Health Insurance brochure HERE. If you are a do it yourself type, use this instant quoting system to see quotes for your insurance needs. DCD Financial & Insurance Services is located in Santa Cruz, and works with clients in surrounding areas such as Monterey, Salinas and Watsonville CA, as well as throughout the entire state of California.